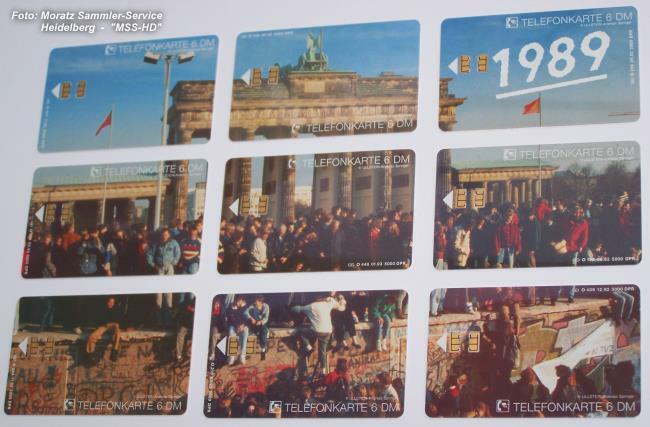 Original telephone card issue (1992-93), framed. Edition of only 5000 pieces. 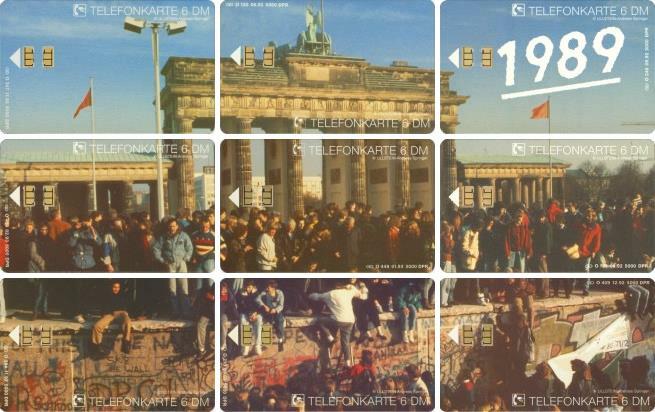 Brandenburg Gate in Berlin in November 1989. ( 'Puzzle' = different telephone cards layed together into one motive). of the telephone cards, e.g., for a frame. and in sheets on 1/11/1930, Michel number 451). The telephone cards are in perfect, new condition !!! All phone cards are 'mint’ ! The telephone units of 6.00 DM (German Mark) per card are stored completely ! Because the telephone cards have appeared at temporal intervals, colour variations are arising between the single cards. Also within one card edition colour variations on both sides are to be recognised. The total circulation is 5,000 (five thousand) pieces per card, that means 5,000 puzzles. To the phone card puzzle is supplied with a certificate of authenticity ! The edition number of 5,000 pieces is documented on every card by a confirmation note. Furthermore every card has on the back right above an impressed running number. Unusually for the phone cards from this period: front and back are advertising-free! 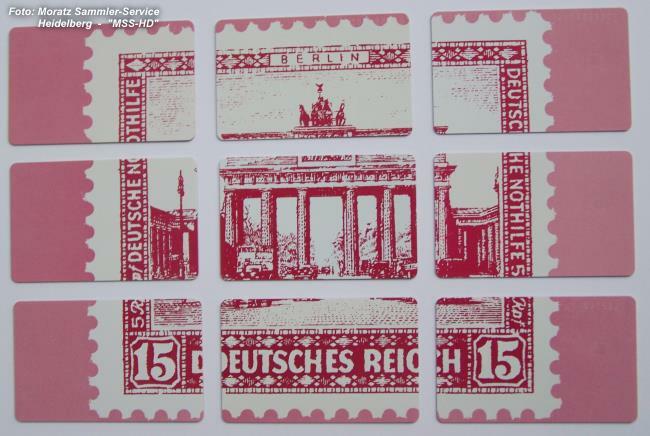 Find here the Brandenburg Gate Puzzle with a frame ! 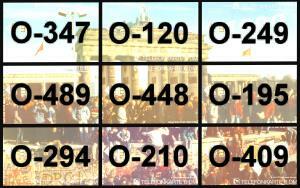 Telephone card issue of the series "O" (= without distribution about the German post). The numbers and dates of the nine cards: O-120 (06/92), O-195 (08/92), O-210 (09/92), O-249 (09/92), O-294 (11/92), O-347 (11/92), O-409 (12/92), O-448 (01/93) and O-489 (02/93).